Open Road Drivers Plan features a nationwide network of CDL attorneys that work hard every day to keep drivers’ CDLs clean and on the road. Houston-based attorney, Pat Monks of Monks Law Firm, is a part of the ORDP CDL attorney network and is author of CDL Citation Chat, answering real questions from real drivers about trucking related law questions. In this installment we look at how long do violations stay on your DMV record, Red light tickets, citations in personal vehicles, and things to remember when you’re pulled over. Question: I have few-violations. How long do they stay on DMV record? A conviction stays on your permanent record always and never drops off. However, there is a public record that the public has access to that generally reflect convictions for the last three years. Presently, Government and the defendant are the only people who have access to a driver’s permanent record. So, any old tickets that are paid recently may be seen by the general public including employers, and insurance companies. There’s a movement by online research companies to gather any tickets received by drivers to include in a report that may be sold to insurance companies for rate increase purposes. Although receiving a ticket has no effect on a driver’s license, in may affect a drivers insurance rates. Question: I recently didn’t get a job because I have a red light ticket on my record. Is there anything I can do about this? It depends, in those states where tickets are criminal, probably not. Most courts will hold that as a final judgment that can’t be altered even by agreement of the State. However, with courts that view tickets as civil infractions, it may be possible to get the county attorney to re-open these cases. A county attorney might allow an amendment to the judgement for a lesser non-moving infraction. In most cases there’s little incentive for prosecutors to agree to re-open or amend convictions once these cases go to judgment. However, if there’s been a mistake in the entry of the judgment, most courts will rescind the conviction and set aside the judgment. An example of that is if an employer paid a ticket without the defendant’s expressed written permission. This could be the basis of a writ of habeas which may allow a conviction to be overturned. Payment of fine acts as a no contest plea, and an employer is without authority or power to act as an attorney for a defendant. Question: I just received a speeding ticket in my personal vehicle accused of going 16 mph over the posted speed limit and I have a Class A CDL. What should I do? Most courts and prosecutors hate that a driver with a CDL is discriminated and treated differently while driving a personal vehicle. But federal law prohibits any sort of masking of a driving conviction regardless of the vehicle in question. The federal register makes no distinction in the vehicles and the feds make a blanket statement that all bad driving in personal vehicles spills over to bad driving in commercial vehicles. There isn’t any legal or factual basis for this hypothesis. 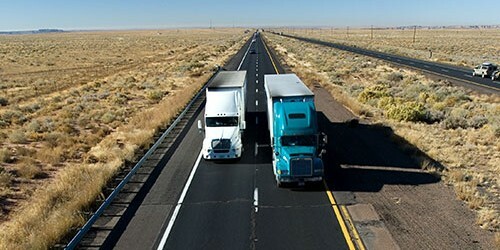 Most states have tried to create remedies for CDL drivers operating in their personal vehicle. But the federal government has been headstrong on threatening to pull federal highway money if any such legislation passes law. 1. It’s not unlawful for the prosecutor to amend the complaint to a speed of less than 10% of the speed alleged. So if the driving were driving 51 in a 35, a prosecutor may amend the complaint to 37mph in a 35mph. Here the driver would receive only one CSA point if reported, and the conviction would not be a dangerous speed making the driver ineligible for his CDL privileges. 2. It’s possible for defendants to plea on a non-moving charge that may be recieved at the same time as the moving violations. Or the State may even amend the complaint to a non-moving violation. Or create a failure to appear for purposes of plea bargaining. Whereas, the state dismisses the moving and the defendant pleads no contest on the failure to appear. 3. Some courts have even created a pretrial diversion program. The State contracts with the defendant to dismiss a case, which includes there being no deferred or suspended sentence involved. The defendant signs a contract with the state to either make a donation, or serve community service hours. At the same time, the defendant promises not to receive any violations during a designated period. At the end of the designated reset, the case will be dismissed provided all the conditions are met. 4. Set the case for trial, some state still provide for jury trial and appeal. If the State fails to prove their burden by providing witnesses (Cop must show), then the case will be dismissed. Also, as long as you aren’t convicted there is no judgment on your driving record. It may take years to try a case in some courts, and appeals last even longer. Question: What’s the best strategy or things to remember if you get pulled over? Keep your cool and don’t be argumentative. If you are pulled over by the Department of Public Safety or a DOT trained officer, the question isn’t whether you will get a ticket, it’s how many infractions or warnings will your receive; being nasty to the officer, will only antagonize the situation. You will not win your case on the side of the road with the man wearing the gun. An officer can issue a number of infractions and warnings. Warnings are worse than infractions because there is no means to remove CSA points via DataQ. Infractions that are dismissed or reduced may be removed from CSA scores by DataQ after the case has been adjudicated. But there is no remedy to remove warnings. Don’t be afraid to use your cell phone to gather evidence. This is crucial in accident cases, or signage cases where signs may not be properly posted. Use your cell phone, but be cautious taping the officer. The law allows you to video the incident. Remember he is doing the same. And with modern discovery, you are entitled to a copy of his tape as well. Be sure to video the location of where the event occurred because the location of the offense could come in to question for speeding cases. If you are receiving a DOT equipment violation, then make sure to video your equipment on the side of the road. If you’re given an overweight ticket, then go to a registered scale immediately. Overweight tickets could cost you thousands of dollars, and a proper weighed scale could be your best defense. Have a question for CDL Citation Chat? Click HERE to send your question today! 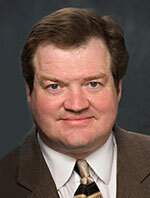 Pat Monks has been an active leader and participant in the legal plan industry for over 20 years. He’s a published speaker for the industry and currently serves as president for the GLSA, and has sat with the board of directors since 2009. Mr. Monks was the charter member and founder of the Municipal Justice Bar Association of Texas and is also a member of the ABA GP Solo section of the ABA and State Bar of Texas. Mr. Monks also serves as a board member of the Texas Coalition to Abolish the Death penalty and attends the CPAC conference each year as a member of Conservatives Concerned about the Death Penalty, which is part of the Equal Justice USA. He remains very active with his local bar association, and serves as an election judge in Clear Lake, Texas. Legal view points and opinions mentioned in this article are his and do not constitute legal advice from either the author or Open Road Drivers Plan. The content contained in this article is for informational & educational purposes only.